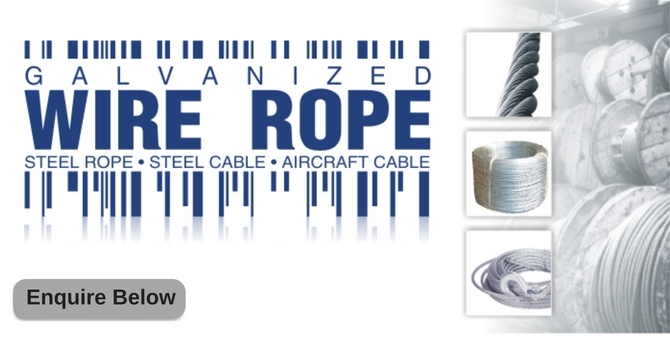 Keble's Trading is a supplier of galvanized and PVC / nylon coated wire rope. We also stock a complimentary range of wire and commercial fittings & accessories. For 30 years, Keble's has been one of the leading suppliers of wire rope in Australia. Our sales team provides technical information to help you get the best product choices for any wire rope applications. We source products from worldwide from leading manufacturers that adhere to strict quality control in their manufacturing processes to ensure you get the quality you expect. We deliver cost-effective solutions to meet your specific project requirements. We also supply: Tool and hydraulic press hire – Customised hydraulic or roll swaging services. If you want the right product at the right price, delivered to you on time, without sacrificing quality then contact Keble’s Trading on the form below.